CP8350-32S4L AP Racing Four Piston (Right Hand, Leading, Anodized)- 28.6mm x4 | Essex Parts Services, Inc.
Race pads aren’t cheap, and you burn through them quickly if you spend any amount of time on track. The average set of race pads for the AP Racing CP8350 costs roughly $175. How many sets of brake pads do you go through in a season? Some people find that they could pay off their brake system in a short period of time on pad savings alone. 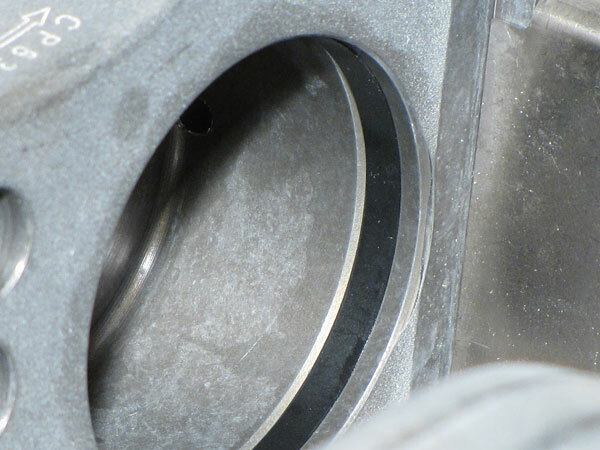 Not only are the pads for the CP8350 inexpensive, they’re also 20mm thick. That extra thickness acts as a thermal barrier and helps keep heat out of your pistons and brake fluid. 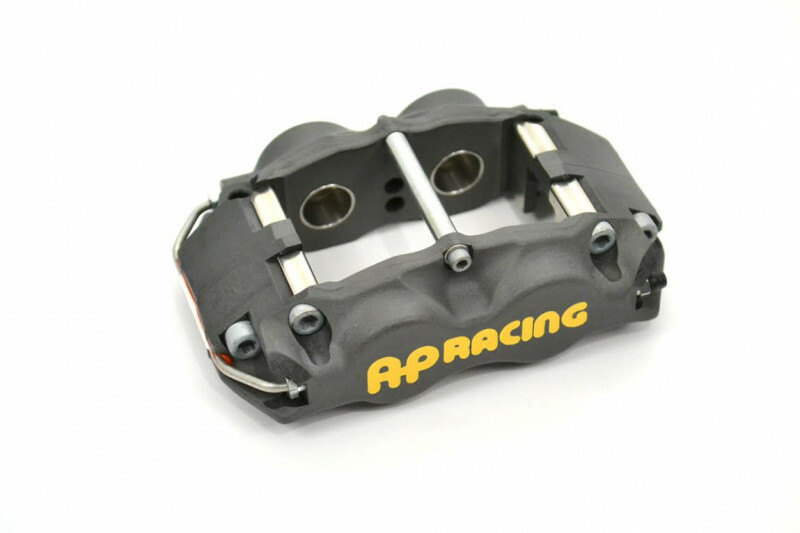 Finally, since this pad shape is used by a wide range of racing calipers, it’s available in just about every popular racing compound on the market (Essex alone sells close to 20!). That means you’ll never end up in a pinch without pads. Cheap, thick, and available is a great combination for a consumable like race pads. The available pad compounds that Essex sells for the CP8350 caliper can be found below. Please keep in mind that there are many other compounds available on the market from other manufacturers. The list below represents only what Essex sells. When purchasing our system, you have the option of buying one set of brake pads for $25. Underneath the manufacturer list below, the pad compounds are listed from most aggressive to least aggressive. Again, please keep in mind that the above is not an exhaustive list, and that there are many other pad compounds available in this shape from other manufacturers. 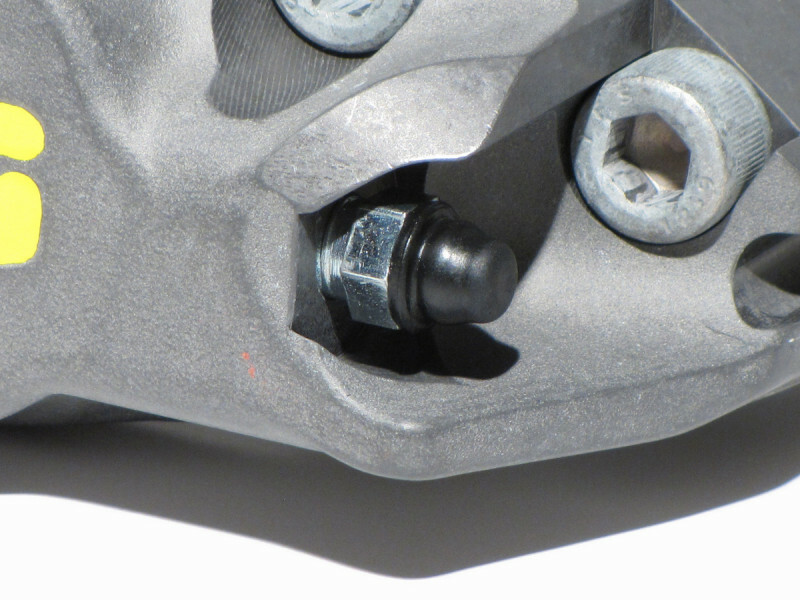 Please note however, that the pad shape we use in our caliper is available in a variety of radial depths (heights). When combined with the CP3908 325x32mm disc, Essex recommends the 50mm radial depth version. 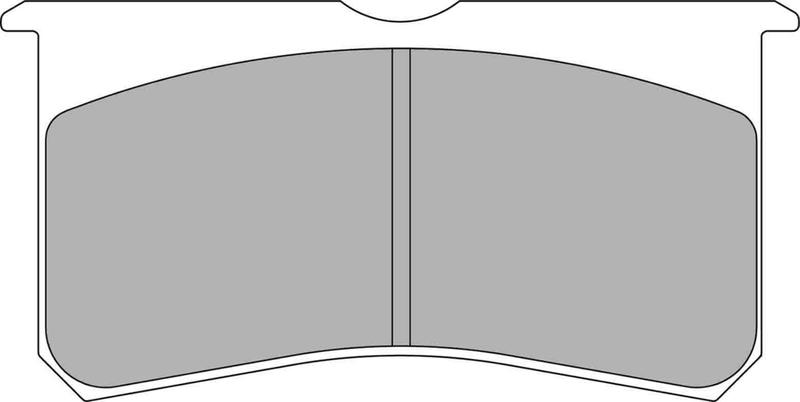 Other common radial depths in this pad shape are 43mm and 39mm. Those radial depths will fit into our caliper, but you will be leaving an unswept 'ring' around the disc near the attachment points to the hat (the pad will not hang as low in the caliper). Leaving a portion of the disc face unswept can create a temperature differential across the face of the disc, and doing so could lead to premature disc cracking. That said, we have not run into such a problem with our kits in the field. Since we do not sell most of the brands listed below, Essex cannot guarantee the fitment of these pads in the AP Racing CP8350 caliper. Based on our research however, we believe that these are the appropriate cross references for the basic shape. However, you should verify with either the manufacturer or your installer prior to purchasing any of them. 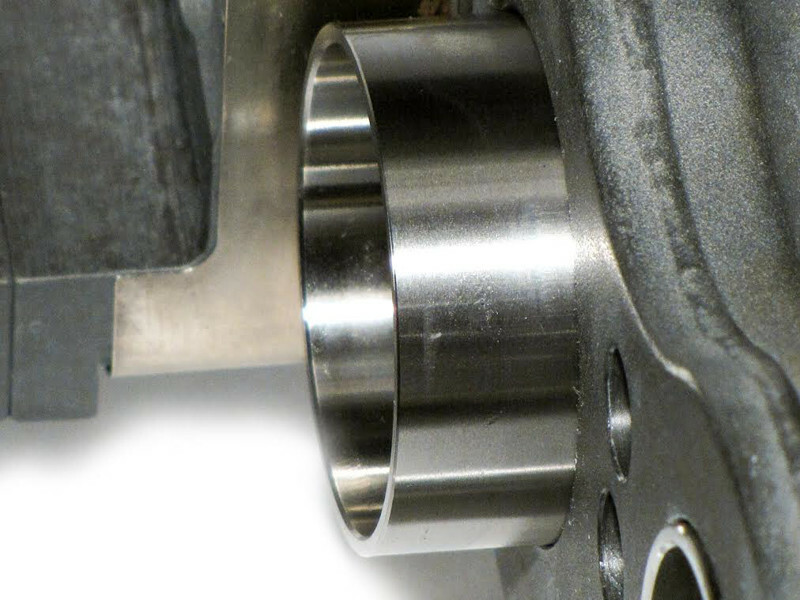 While most aftermarket calipers use a pressed aluminum piston, the CP8350 uses an expensive machined stainless steel piston. Aluminum has a much higher thermal conductivity than stainless steel, and therefore transmits heat into your brake fluid much more quickly. That is exactly what you don't want! 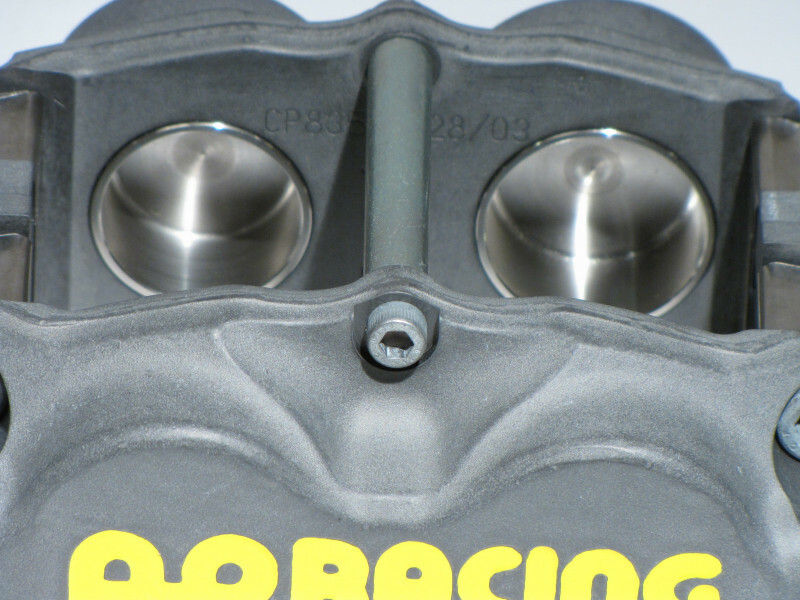 Stainless steel pistons are far superior to aluminum pistons in creating a thermal barrier. They help keep heat out of your brake fluid, preventing a soft pedal (brake fluid fade) on the track. This has been proven over and over again at all levels of motorsport. 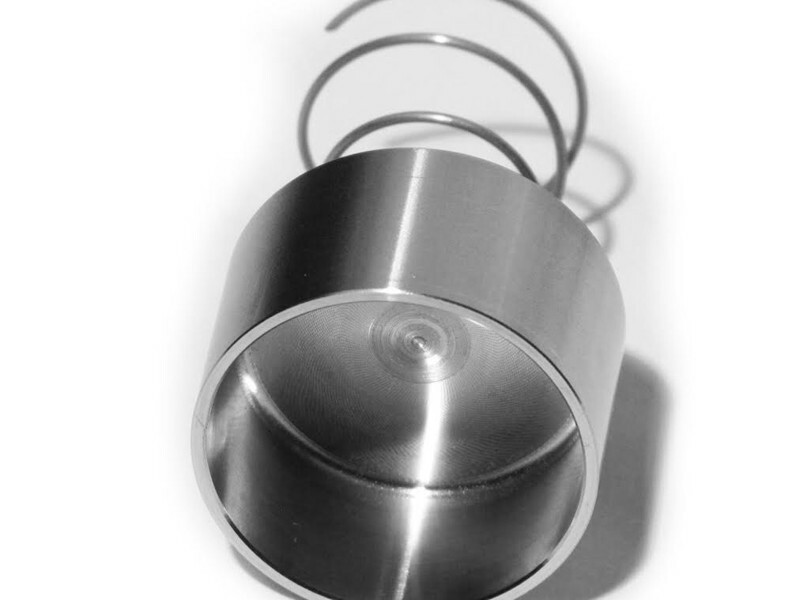 Not only are the domed back pistons ventilated stainless steel, they are also fitted with anti-knockback springs. Springs behind the pistons you ask? Yes, springs. If you’ve ever gone through a series of S turns and then had your pedal drop when going into the following brake zone, you have experienced knockback. To say it is disconcerting is an understatement. You’ll often see pro drivers ‘pre-tap’ their brakes lightly when approaching a brake zone. They are fighting knockback. Knockback is a phenomenon that is common with fixed calipers. Knockback occurs when your car’s wheel, hub, and bearings deflect during cornering, allowing your brake disc to move out of sync with your caliper and brake pads. 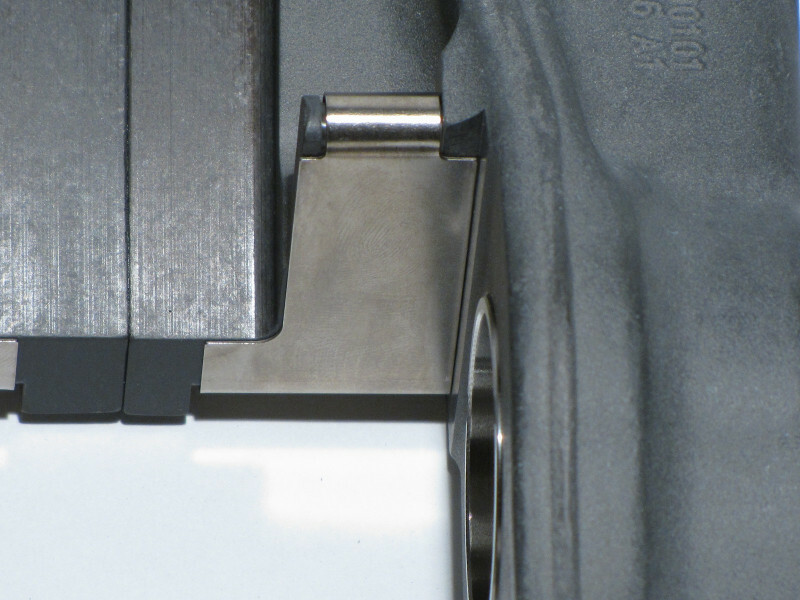 The caliper is less prone to movement because it is attached to the more rigid upright. As the brake disc deflects, it actually pushes the pads away from each other, forcing the caliper pistons back into their bores. 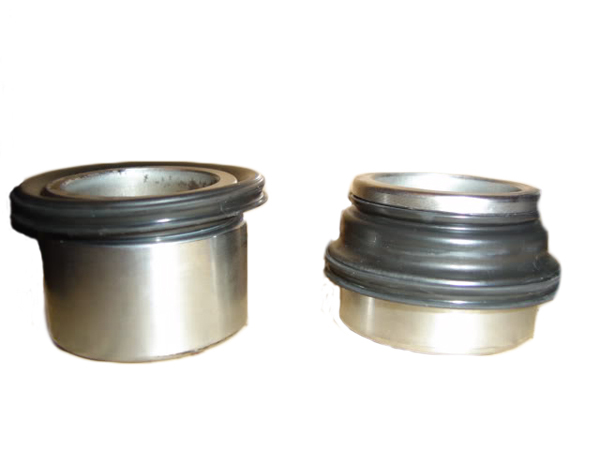 The piston seals don’t have enough tension in them to return the pistons to their original location. That means there is slack in the system that needs to be taken up. When you press the brake pedal, it will continue to drop until that slack is taken up. 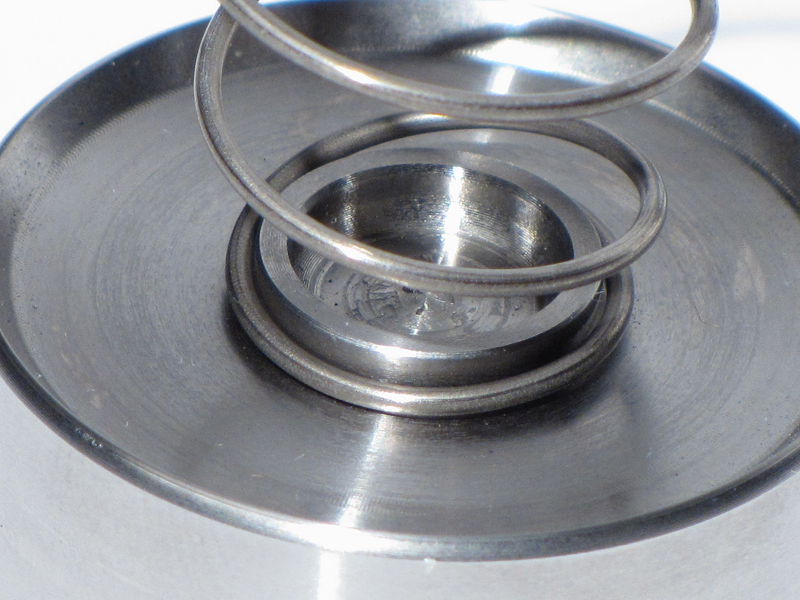 With the proper seal and spring the goal is to keep the piston in the 'neutral' position, not pressed against the disc. 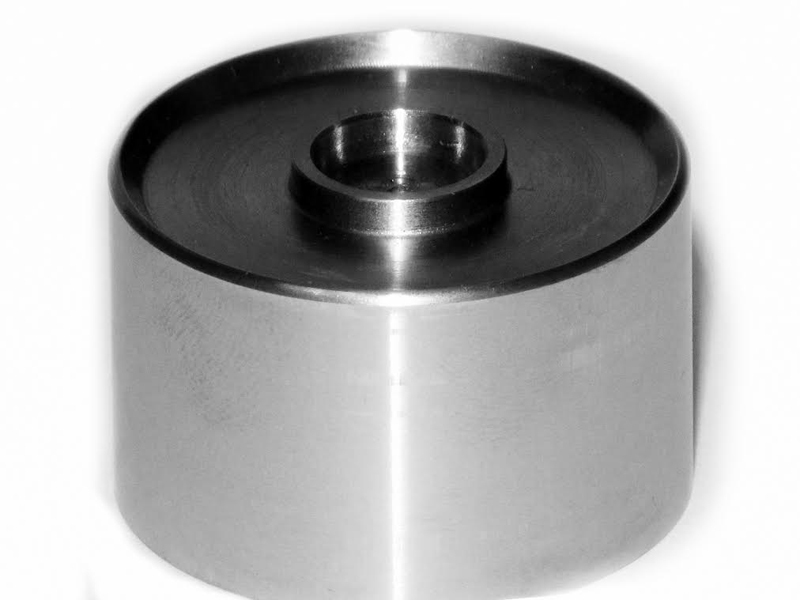 The piston is still able to slide freely in either direction, but a bit of friction or tension needs to be overcome initially to get it moving in either direction. The seal offers that first bit of friction to limit movement, and then the spring provides additional resistance. 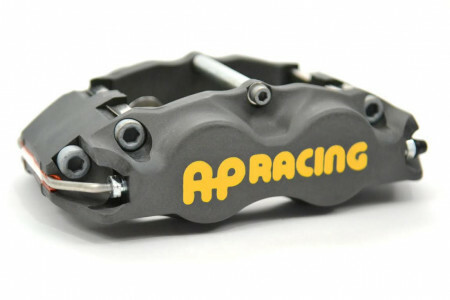 The end result is that the properly designed AP Racing calipers won't drag or create additional or unnecessary wear, despite having springs behind the pistons. After the countless times you’ve changed your brake pads, you’re probably never too excited when it comes time to do so. Changing pads will no longer be a chore. No more fiddling with a hammer, punch, or pliers. AP’s bridge bolts pop out easily with a 5mm hex wrench and a 7mm socket. It will take you longer to pull off the wheel than it will to change pads. Less time futzing around in the paddock, and more time driving= fun. How often do you take the wheels on and off of your track car? At least once per event? A 30lb. 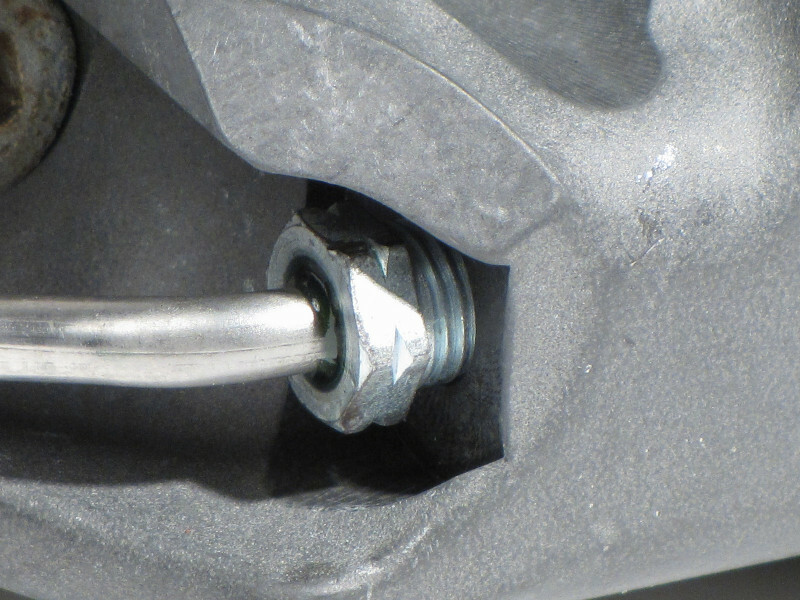 wheel and tire combo can do quite a bit of damage when it collides with a caliper's bleed screw or crossover tube. 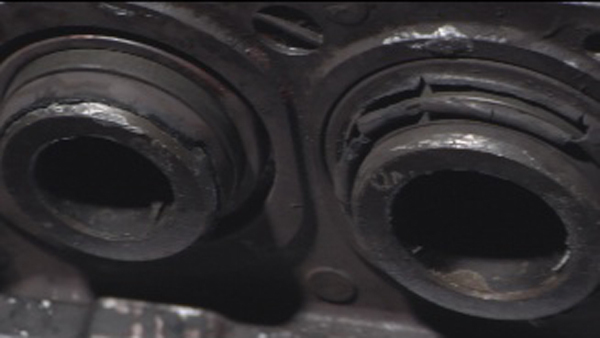 Of the hydraulic components shown below, which do you think have better impact protection? 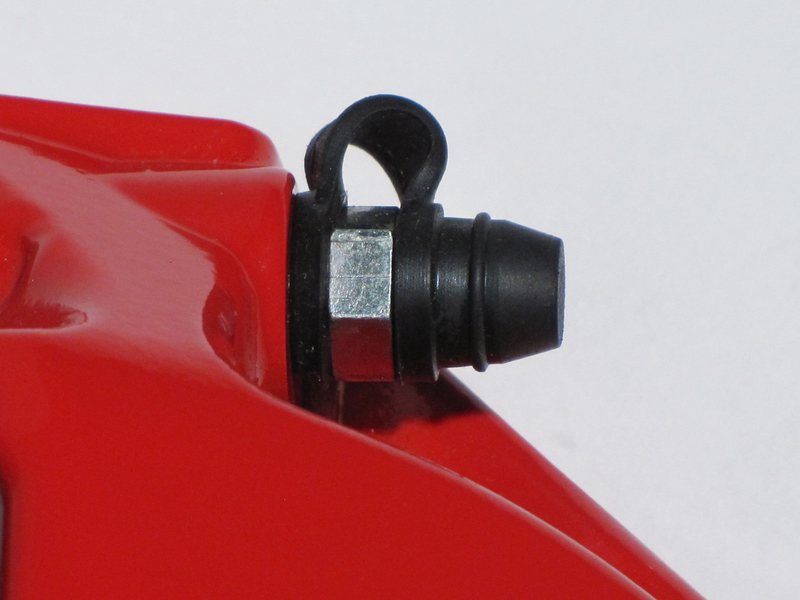 The CP8350's body was designed to protect the bleed screws and crossover piping from heavy-handed crew members and track debris. These delicate hydraulic components reside in small coves on the caliper body that can withstand the impact of a wheel, tool, rock, etc. Wheel, pad, and fluid changes become less worrisome and faster, and less time in the pits equals more time on the track. The Essex mantra when designing brake kits has always been, "Anything larger than necessary to get the job done is simply dead weight to drag around," and the CP8350 aligns perfectly with those values. One of the major problems with many of the brake packages currently on the market is wheel fitment. You’re offered gigantic discs and 12 piston calipers, with a pat on the back and a, “Good luck finding wheels to clear those things (insert sinister chuckle here).” The reality is that many casual racers want to use their OEM wheels on the track, or the smallest, lightest wheel they can find. Not only is saving unsprung weight critical, R compound tires are much more plentiful and cheaper for smaller wheels. If the components are designed properly with heavy use in mind, you don’t need to cram boat anchors under your wheels. If you’re worried about the loss of stiffness due to mass reduction, don’t. Some manufacturers use a heavier six piston caliper, but that's because the caliper wasn't designed or optimized for racing. In those cases, the same caliper may have been designed for use on much heavier road cars, and even trucks! AP Racing’s CP8350 calipers are incredibly stiff, and designed from scratch with only the racetrack in mind.